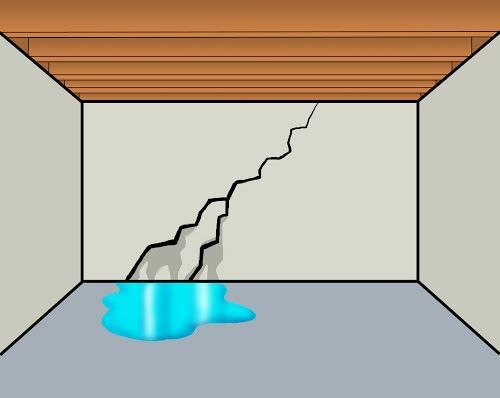 Basement wall cracks may not look that serious until they start letting water seep into your home – which is what will happen if you choose to ignore this problem. These cracks can be in a stair-step, horizontal, or vertical pattern. They are often caused from settlement of the home, concrete shrinkage, or from hydrostatic pressure being applied to the walls. It doesn’t matter how minor or serious the wall crack may look to you, you still need to get it looked at. There are some instances where a crack could be a warning sign of even more serious structural problems that will need to get addressed before more damage is done to your family’s home. When these cracks start to seep, you will know it since there will be water stains extending down the wall to the floor. At Advanced Systems of NE Kansas we offer a free inspection so that you can know exactly what the issue is and how best to address it.